company is well placed to meet the needs of an ever changing market while managing its cost base. The combined experience of the Zero Cabs team and their knowledge of Sligo and district is setting standards for service delivery in the region while the variety of vehicle gives the company the ability to meet a wide range of customers needs. A visit to the W.B. Yeats’ final resting place to read the poetic words that grace his headstone. Takes in the 11th century High Cross and the round tower which overlook the surrounding area and which have links to St. Columcille. Then on to the home of the renowned Countess Markievicz, Lissadell House to view this historic home and the vast scenic beauty of the region. The crisp golden sands of Rosses Point beach are our final stop before our return to base. The relaxing seaside resort is a fitting finish to the tour as the Atlantic Ocean crashes against the rugged Irish coastline. Along the shores of the majestic LoughGill to see the inspiring sights that grace the water. A stop at the recently renovated Parkes Castle to get an insight into the heritage of our region. 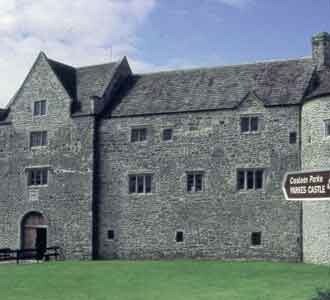 The quiet village of Dromahair is the next stop to see the home place of the O’Rourkes of Breffni. On the return we take in the lake water lapping along the shores of the Isle of Innish free. Our final stop is the Mass rock at the HolyWell in Tobernault with its peaceful setting. 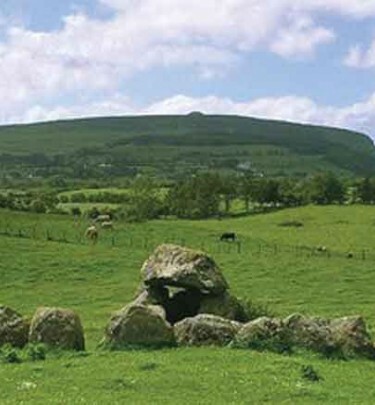 To see the widely popular Carrowmore Tombs and court cairns that dot the landscape. Then it is on the prolific seaside resort that is Strandhill. Watch the surfers battle the waves or just relax in one of the many pubs and restaurants in the area. Our final stop is at Dolly’s Cottage. This 200 year old west of Ireland cottage is an experience not to be missed. Step through the door and back in time to when life was simpler. The appreciable Bronze monument of Countess Markievicz in the quiet village of Rathcormac near where she gave her first ever speech on women’s rights. From there we pay tribute to W.B. Yeats at his final resting place in Drumcliff graveyard under bare Benbulben’s head. We then come to Streedagh Beach where three ships of the Spanish Armada were wrecked in 1588. 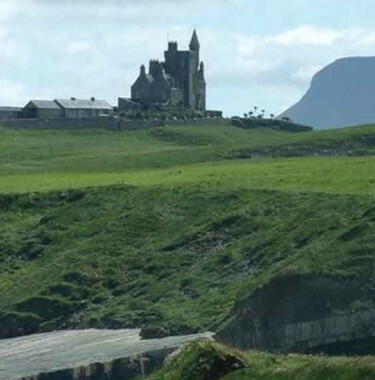 And finally Mullaghmore to stand on the 19th century stone harbour wall and seethe wild sweep of the Atlantic as it comes round into the lagoon and washes the golden sand.